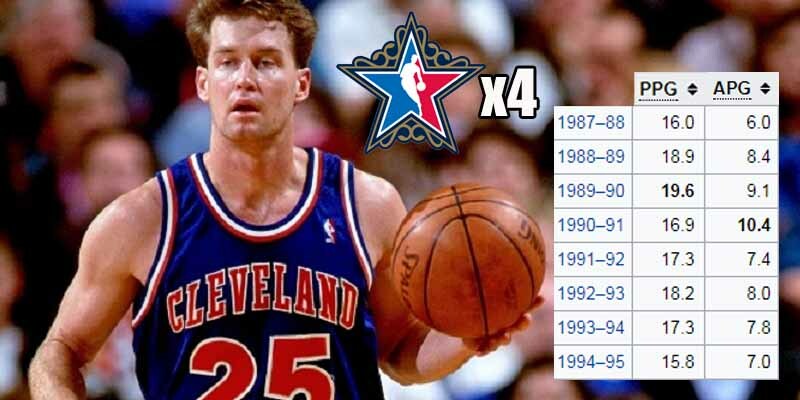 Despite being drafted in the second round, Mark Price brought success to the Cleveland Cavaliers when LeBron was still an infant. The Cavs consistently made the post-season with Price and even reached the Eastern finals in 1992, taking Jordan and the Bulls to 6 games. He has 4 All-Star appearances under his belt, one All-NBA First Team, three All-NBA Third Teams and would finish in the top six in three-point field goal percentage on three different occasions. He also led the league three times in free throw percentage, twice as a member of Cleveland.